A forward from a friend. 🙂 I think I am a guy though. The vazha ilai saapadu is making me drool! Next Thoughtful Thursdays – A week’s delay. wow makes me drool also!! 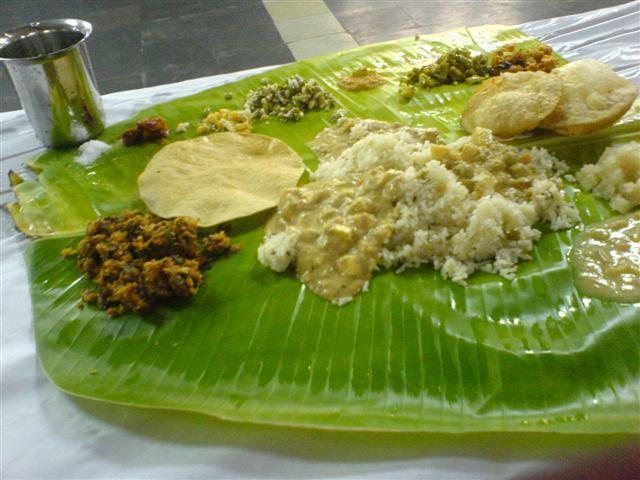 Food always tastes better when on a vazhai ilai, I think…. I think I would rather be a guy in this situation. And vazhai ilai beats Corelle or any other hand painted, hand made, whatever kind of plate anyday. o btw, we get fake vazha ilais these days.. the ads haunt me on the channel! I am definitely a girl!! !I want all those jewellary. Indian advertisements are unbeatable, aren’t they? I keep telling myself that if I miss home, then all I have to do is to go on you tube and watch some Indian advertisements – nothing captures Indianess more than they do. Funny!! but I don’t want either 🙂 So what does that make me?! ?